Are you curious to find out the best things to do in Spello? Our mini-guide will show you the best things to do, typical foods to eat and places to visit in in Spello , " Splendidissima Colonia Julia ". Let's start our tour from its lower part, still surrounded by the well-preserved Roman Walls, in which you will see three gates. Enter in Spello and discover the best things to do in Spello: visit the Church of Santa Maria Maggiore with its famous Cappella Baglioni that has a ceramic Deruta's floor and Pinturicchio's frescoes (considered his best production and his self-portrait). Take a visit to the Roman House, dating from the first century AD , whose walls inscriptions suggest that it was owned by the mother of the roman emperor Vespasiano. Our tour continues with the church of S. Andrea built in 1258 and the church of S. Lorenzo with its impressive facade, a twelfth century loggia, rosettes and decorative elements. 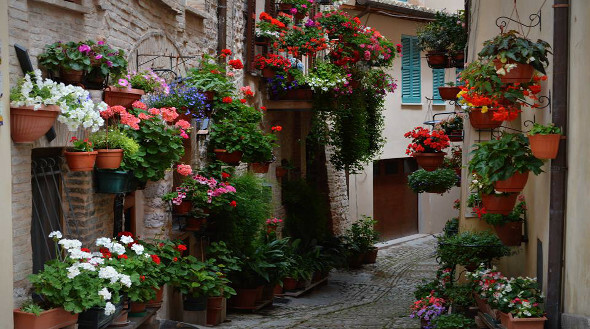 What are the best things to do in Spello if you love both art and flowers ? Do not miss the most representative event of Spello, the Infiorata, a Flower Festival of Corpus Christi held between May and June . 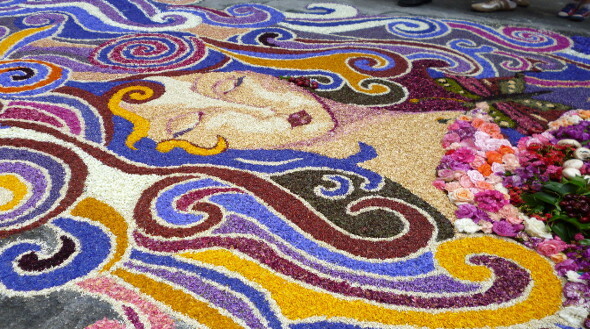 Every year the streets of Spello turn into a wonderful , spectacular, huge carpet of flowers that exceeds 1.5 km. The downtown streets are decorated with paintings of sacred art made with flower petals, a unique event for the religious tourism that has turned Spello in the " capital of the flowers". If you're wondering what are the best things to do in Spello, we advise you to live "the night of Flowers ", admiring the spectacular work made to prepare the flowers and enjoy both musical performances and market exhibitions. What are the best things to do in Spello if you love history and art ? Visit the Museum and the Pinacoteca; housed in Palazzo dei Canonici (XVI sec . ) it preserves important works of art between the thirteenth and eighteenth century. , jewelery, fabrics, sacred objects and the urn of St. Felix of the eighteenth century. 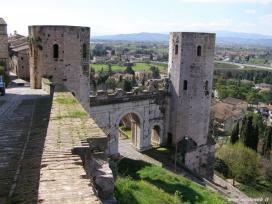 There are offers for vacation rentals and hotels in the areas of Spello! Click and Consult them immediately. You should visit also Villa Costanzi, better known as Villa Fidelia : created on the ruins of a Roman sanctuary , has a structure with terraces and was wanted by the Urbani family in the sixteenth century . It hosts cultural events and concerts and inside has a beautiful park with old trees and a palace with exhibitions of contemporary artists. If you're wondering what to eat in Spello, what are the typical dishes of Spello and Umbrian cuisine, our mini-guide is here to help you! See the best restaurants in the area of Spello! >> Click here and book. Try the Colfiorito potatoes gnocchi with goose or rapunzoli salad ( radishes) but do not forget the legumes, which are the masters in Spello. 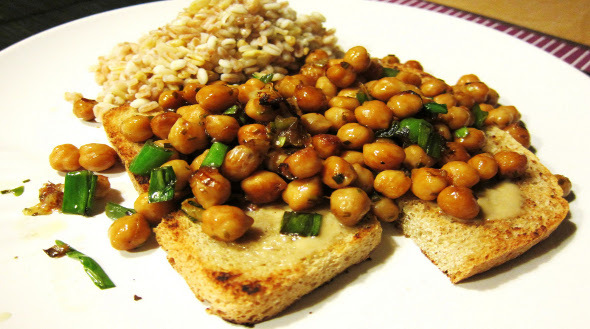 On a bruschetta with the excellent Spello olive oil or made in soup, if you have doubts about what to eat in Spello we recommend: risina, Spello's chickpeas Spello and cicerchia which is a legume from very ancient origins quite similar to the chickpeas . Try it in a salad or in soup and...enjoy your meal! If you've decided to visit Spello and taste the delicious Umbrian cuisine you should contact now Farm-Houses near Spello >> click this link.